A few hours ago, we told you that Amazon is offering the 32GB version of the Motorola Moto X Pure Edition at $349.99, and now it looks like the LG G4 with a black leather back cover can be had at the exact same price from B&H. That's $100 down compared to the usual retail price, and it's pretty much the best deal on the LG G4 currently available. Sure, with the LG G5 set to be unveiled in less than two weeks from now, the year-old LG G4 has lost some of its attractiveness. However, this doesn't mean that the phone doesn't have a lot to offer and that $349.99 isn't a very good price for the handset. The offer is for the North American version of phone, which is fully compatible with GSM carriers in the US and comes with one year of warranty. The LG G4 and the Moto X Pure Edition, which can be currently at $349.99 new unlocked and with 32GB of internal storage, are both based on the hexa-core Qualcomm Snapdragon 808 chipset, come with 3GB of RAM, and are equipped with displays running at 1440 by 2560 pixels (QHD). As such, it comes of no surprise to learn that the two phones behave similarly across multiple benchmarks. For more details on the two phones compare, check out our LG G4 vs Motorola Moto X Pure Edition analysis. If this sounds like a good deal to you, make sure to hurry. The product listing on the B&H website says that only limited quantities are available at this price. Back in mid-January, B&H offered the 32GB LG G4 at the same price, but the promotion only lasted for 24 hours. What do you guys think of this offer? Is the LG G4 worth $349.99? I've never figured out which was better after the Moto X released. 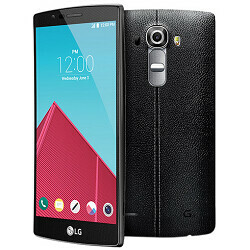 Camera and replaceable battery would make the LG better imo. They both get near the same battery life so quick swap would win. Camera on the LG is noticeably better in non-perfect lighting and hopefully will get some of the V10 tricks added to it video capture wise. Friends don't let friends buy LG G4. The Moto X Pure Edition is a better pgophone. It's the US Cellular version. I wonder how they are for updates and bloatware. I wonder if you know how easy it is to root your phone. Camera second only to the Galaxy S6, plenty of RAM, and a capable processor. This is a good deal, considering used variants are only $50 less.